Porsche repair serving Rockville, MD., Bethesda, MD., Gaithersburg, MD. and the Washington D.C area. Our family owned Porsche service center has provided expert Porsche repair since 1977. We are Rockville's import car repair enthusiasts! We are a Bosch Authorized Service Center. We provide expert Porsche maintenance with the highest integrity, at competitive rates in the metro D.C. area. Schedule your next Washington D.C. Porsche service appointment with us today! For 7 years I have been a customer of Paulo at Auto Centro. All my vehicles have received great service and repair. Paulo is honest and will fix any problem. The recent addition of Craig is definitely a delight. He is very caring and always attentive to my needs. I highly recommend this business. We've been visiting Auto Centro for almost ten years. We've had positive experience every single time. Paulo and his dad truly do believe in making their customers feel welcome and part of the car care solution. They've always been trustworthy and honest, which is easy to say since we've compared their work with multiple dealer's estimates, and super friendly. Visiting Auto Centro is like visiting a cousin. They're always happy to see us and we them. We will always demand Auto Centro as our mechanic. Thank you. 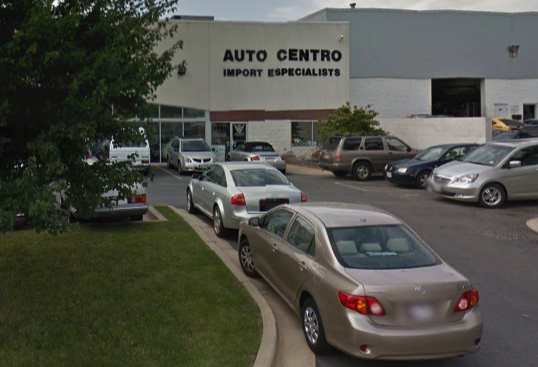 I have been taking my cars to Auto Centro for about six years now. They have taken excellent care of my old Audi A4, my BMW M3 my wife's Lexus LS400 and my Porsche Boxster S. I have recommended them to friend who have been very satisfied with their experience servicing Audis, BMWs and other Lexus vehicles. Auto Centro have a very reasonable hourly rate and are very honest about repairs which need to be done, should be done or just could be done. They do not try to sell you anything you do not need and always stand behind their work. They offer a free shuttle service to the metro or to downtown Rockville. I highly recommend bringing any make of vehicle to them for professional and courteous service at a very reasonable and highly competitive price. I have called other repair shops and dealerships after receiving quotes on service from Auto Centro and they are consistently 20% to 35% less expensive than other independent shops that specialize in German or Japanese vehicles and usually about 50% less expensive than the dealership. When I saw the Auto Centro showroom of exquisite collectible cars and chatted with the amicable Al, Paolo, and Patricia, I knew in my gut that the friendly, down-to- earth people at Auto Centro were genuine car enthusiasts that would take excellent care of my baby Porsche. I would not trust my first Porsche to just anyone. I was not disappointed! Honest, pleasant, straightforward timely service with a smile at an honest price. It's no wonder they are super busy. My Porsche truly runs like new after it's routine major service. What more can you ask for?! I'm just sorry I didn't discover Auto Centro years ago. Obrigado, Auto Centro, Obrigado!